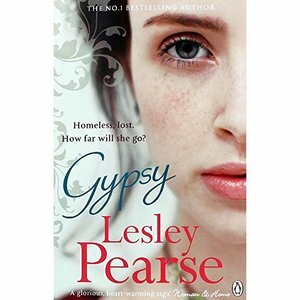 Gypsy is Lesley Pearse's latest historical novel. Tragedy sent her on a journey far from home . . . Fifteen-year-old Beth's life is shattered when she and her brother Sam are orphaned. Believing that only in America can they make a fresh start, brother and sister leave Liverpool and embark on the greatest adventure of their lives. In New York, Beth's talent with the fiddle earns her the friendship of gamblers, chancers and other rogues. Dodging trouble across America, Beth and her friends head for the Klondike river in search of gold. How far must Beth go to find happiness? And will her travels lead this gypsy to a place she can ever call home? Gypsy by Lesley Pearse - author of bestsellers Hope and Remember Me - is a historical novel of survival in a compelling nineteenth century setting. Any fans of Susan Lewis will soon be fans of Lesley Pearse too. Praise for Lesley Pearse: 'With characters it is impossible not to care about ... this is storytelling at its very best' Daily Mail 'Lose yourself in this epic saga' Bella 'An emotional and moving epic you won't forget in a hurry' Woman's Weekly Find Lesley on Twitter @LesleyPearse or find out more ∇ her website, www.lesleypearse.co.uk. Fifteen-year-old Beth's life is shattered when she and her brother Sam are orphaned. Believing that only in America can they make a fresh start, brother and sister leave Liverpool and embark on the greatest adventure of their lives. In New York, Beth's talent with the fiddle earns her the friendship of gamblers, chancers and other rogues. Dodging trouble across America, Beth and her friends head for the Klondike river in search of gold. How far must Beth go to find happiness? And will her travels lead this gypsy to a place she can ever call home?